Trademarks…and the headaches that come with! I will keep this short’ish (since the actual legalities of trademarks can take quite a while to delve into), and stick to my specific story regarding the hoops I have jumped through with our game. 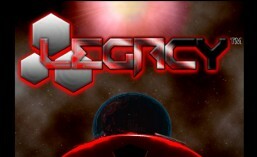 Previously I had posted that our game’s name (LEGACY) was officially cleared through the USPTO (United States Patent and Trademark Office). They had even published it in their official gazette…which was pretty darn exciting, I won’t lie. That was a few years ago. One of the things that one needs to do to make the mark “official” is to use that mark in commerce (ex. on a sold product). Since the scope of our game, coupled with the lack of funding, and the limitations of having to work on the game in our spare time were all working to delay it’s release…that requirement had not been met by the standard deadline. We are still a bit away from having a product ready to ship…and that probably won’t change much until we are able to get some funding behind the project. In regards to the trademark, it wasn’t that much of a big deal to reach the deadline, or so I thought. Once the mark lapses into non-use, you can just re-submit a new application. Since the mark was still available, and I had been approved so easily the last time, I figured this would be a piece of cake! I was wrong. Here’s where it gets funny. The new mark application for LEGACY doesn’t seem to hold up to the existing search and comparison criteria…so it was denied! Mind you…NOTHING has changed from the last time. The existing marks that they say are contestable to mine now WERE ALREADY THERE the last time I went to apply…and succeeded! So…what happened?! I’m still trying to figure that out. I have messaged the designated trademark attorney working on my application, and have since contested the denial. I can only hope that they see the failed logic in denying what had already been approved once before. That said, there is a slight possibility that the name of the game may have to change. We’ve been batting around some ideas, but none of them really convey the epic scope or obvious (once you know the story) tie-in that makes “LEGACY” work so well. I know that in the grand scheme of game development, the game play and story will ultimately define the work. The name is just the dressing…but it is really tasty dressing..lol! Anyways, I thought I would let you guys know what I’ve been working on lately. Not as fun or exciting as the stuff I’ve posted before I know…but still a part of the whole indie game dev experience. I’ll let you know how it goes hopefully soon!